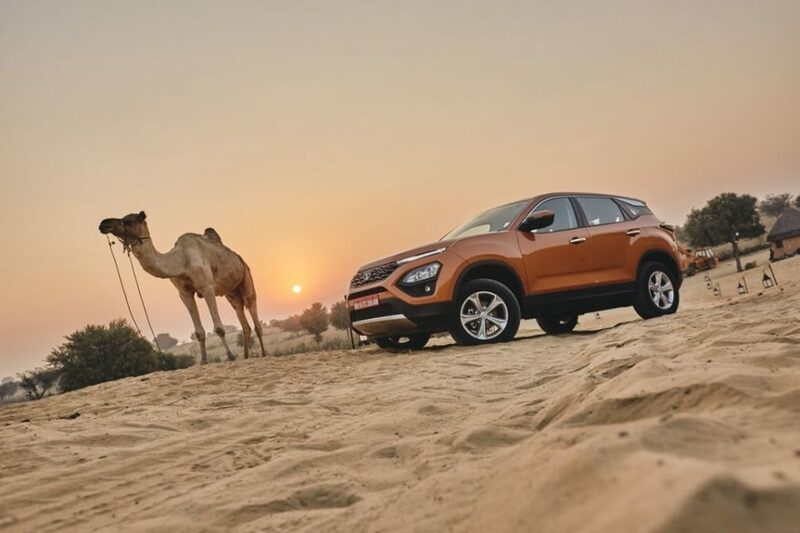 Tata Harrier is one of the most awaited models to be launched in the country and the company has released more details of the SUV. 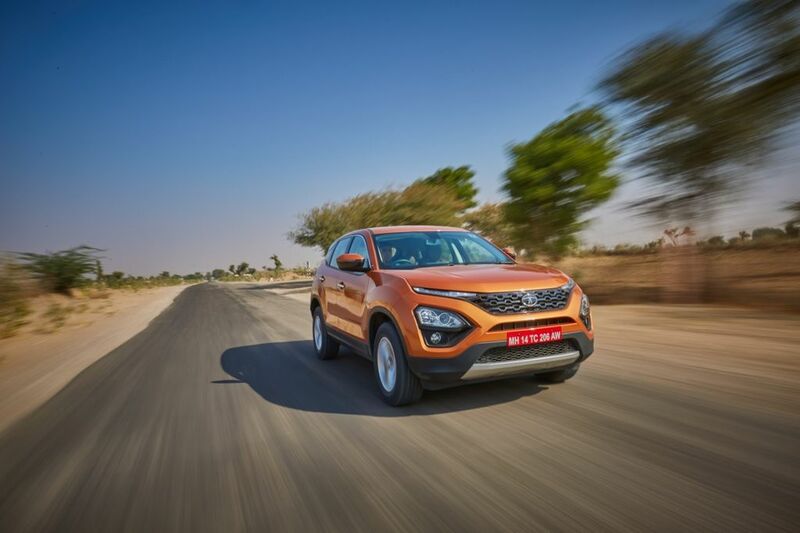 The Harrier is based on OMEGA architecture, which is based on the D8 platform of Land Rover Discovery Sport, but the company has made some changes to make it more cost efficient. The design theme of Harrier is similar to the concept model showcased at the Auto Expo. The SUV measures 4598 mm length, 1894 mm width and 1706 mm height. The wheelbase of Harrier is 2741 mm and 205 mm of ground clearance. 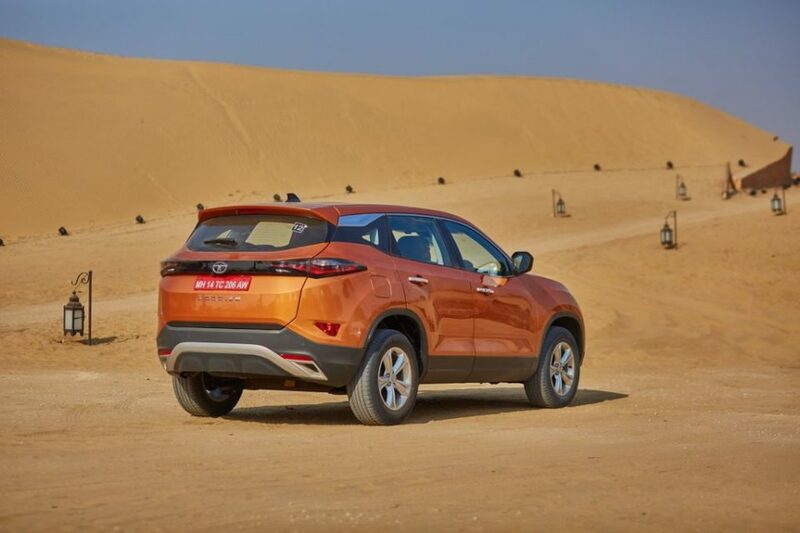 Tata Motors is offering the Harrier in four variants – XE, XM, XT and XZ+. Like most of the other products from the company, this one also loaded with lots of premium features. The entry-level XE comes with features like – power steering, tilt & telescopic steering wheel, projector headlamps, dual function DRLS with turn indicators, dual airbags, ABS with EBD, rear parking sensors, perimetric alarm system, central locking, power windows, 16-inch steel wheels and electrically adjustable outer mirrors. The XM get all the features from XE along with multi-drive mode (Eco, City and Sport), 7-inch touchscreen infotainment system, 6 speakers, steering wheel with audio controls, follow me home headlamps, front fog lamps, rear parking sensor with display on infotainment, rear wiper washer, remote central locking and 6-way adjustable driver seat. 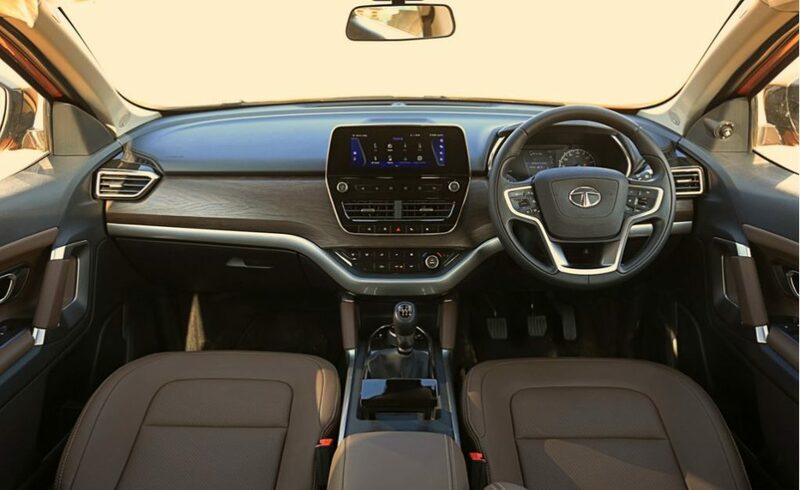 The XT also comes with all the features from XM and the company has added 17-inch alloy wheels, soft-touch dashboard with anti-reflective ‘Nappa’ grain top layer, Android Auto & Apple CarPlay, 8 speakers. Reverse parking camera, push-button start, climate control, dual function LED DRLs with turn indicators, rain sensing wipers, auto headlamps, cruise controls, electrically foldable outer mirrors, rear armrest with cup holders, 8-way adjustable driver seat. The top end XZ is loaded with lots of features like projector headlamps, front fog lamps with cornering function, Oak Brown interior colour, leather seats & door pad, leather-wrapped steering wheel & Gear Shift Knob, outside mirror with logo projection, 8.8-inch touchscreen system, 9 JBL speakers (4 Speakers + 4 Tweeters & Subwoofer with Amplifier), acoustics tuned by JBL, shark fin antenna, instrument cluster with 7-inch TFT screen and more. Tata Motors has also focused on Safety and Harrier comes with safety features like 6 airbags (Driver, Co-Driver, Seat Side & Curtain), Electronic Stability Program (ESP), Hill Hold Control, Hill Descent Control, Roll Over Mitigation, Corner Stability Control, Electronic Traction Control, Brake Disc Wiping and ISOFIX Anchor points. The Harrier is powered by Kryotec 2.0 L turbocharged diesel engine sourced from Fiat producing 140 PS at 3,750 rpm and 350 Nm of torque between 1,750 rpm-2,500 rpm. This engine is mated to 6-speed manual transmission and an automatic transmission will be offered later. The SUV is offered in five colour options – Calisto Copper, Ariel Silver, Thermisto Gold, Orcus White and Telesto Grey. Tata Motors is expected to price the Harrier aggressively against the competitors.